Previewed by the Audi A3 Concept at the 2011 Geneva Motor Show, the production version of the A3 sedan will be making its global debut at the upcoming 2013 Shanghai Auto Show come April. Audi CEO, Rupert Stadler, commented that the new model will be an important derivative which will stimulate additional growth, especially in China and the U.S. Perhaps this explains the sedan's debut in Shanghai. 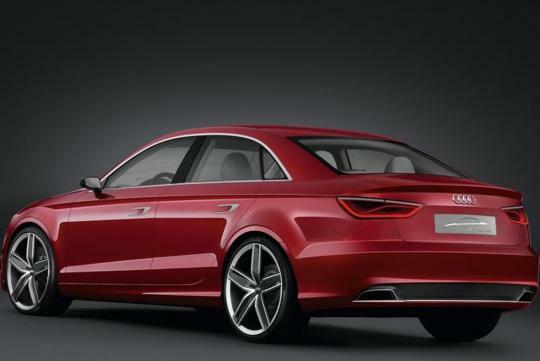 The A3 sedan will be a direct competitor to the Mercedes CLA. 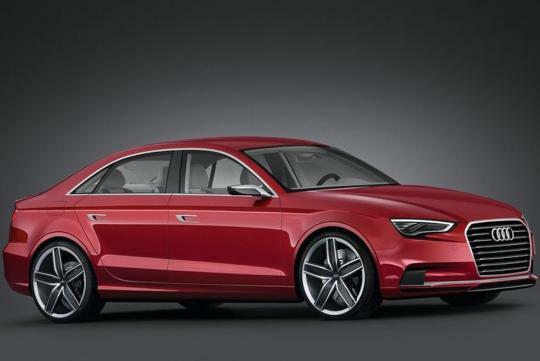 The A3 sedan will be built at the country of launch. Chinese press reports that the A3 sedan will be assembled at the FAW-VW joint venture that also manufactures a variety of Audi models. However, I believe there will be other manufacturing sites around the world. Measuring about 4,400mm long by 1,840mm wide by 1,390mm tall, the baby sedan will be built upon VW's MQB platform. The engine lineup is expected to be carried over from the 2013 A3 hatchback. This means a range of TFSI petrol power plants ranging from 1.4-litre to 2.0-litre as well as 1.6-litre and 2.0-litre TDI options. S-Tronic transmission is available as an option on all models.